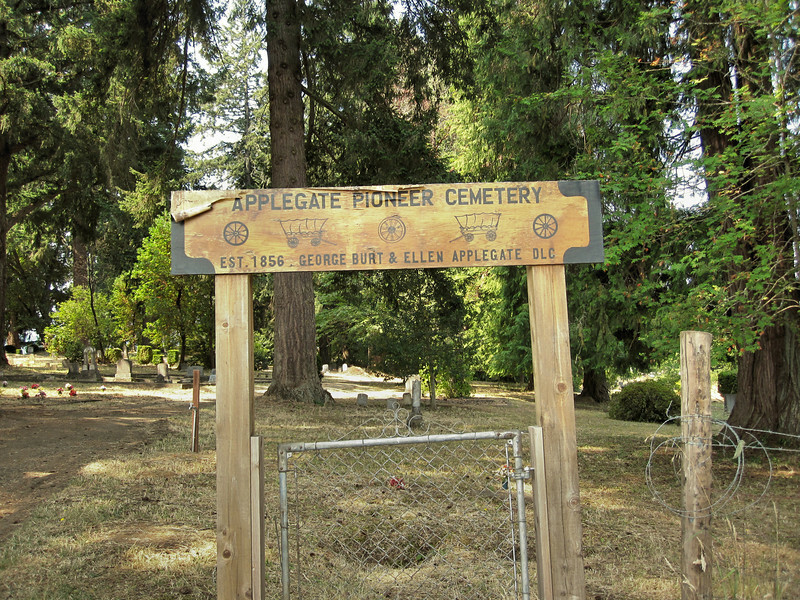 The cemetery is situated at the top of a hill in Yoncalla, OR. It is not easy to find. Only the serendipitous sighting of a couple of small, shabby signs on street corners off the "main drag" enabled us to find it.